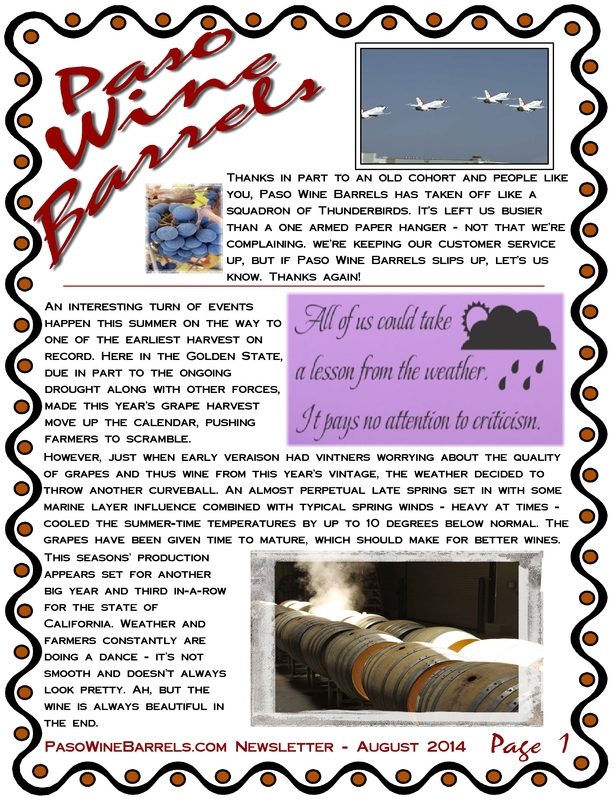 This entry was posted in Newsletter and tagged August Newsletter, Newsletter, PasoWineBarrels.com on August 29, 2014 by PasoDr. This is a fun event and adds a lot of class to Paso Robles. A car show at the park is always a treat. Check it out. Once again, classic cars will grace the city of Paso Robles this Labor Day weekend, with the Paso Robles Classic Car Weekend event scheduled for two days, August 29th and 30th (Friday and Saturday). Net proceeds will go to local charities. The Golden State Classics Car Club puts on the event with help from the city of Paso Robles. The club was founded in 1986 by nine individuals interested in preserving and enjoying all types of antique classic, and custom cars, and trucks. There are now 120 members in this family-oriented car club organized for the purpose of promoting interest in the preservation, and/or modification of all classic automobiles and trucks. 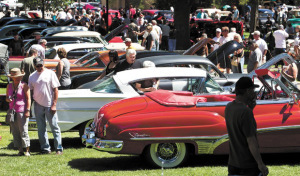 The Chamber of Commerce had helped organize the show in the past, but Golden State Classics Car Club and the city will co-host the event this year. This entry was posted in Central Coast and tagged car show, classic car, Golden State Classics Car Club, Paso Robles on August 28, 2014 by PasoDr. Celebrated on the first Monday of September, this upcoming weekend is Labor Day, which is generally regarded as the final hoorah for summer – a bittersweet even melancholy period of the year, if you ask me. Yes, I’m a big fan of summer and technically we have almost an entire month of summer to go before fall officially starts. Still, once Labor Day passes, the clock begins to tick around here on the California Central Coast. You start noticing the shadows getting longer and although Septembers in Paso Robles are very capable of being downright hot, there’s also the knowledge that cooler mornings will be with us anytime. 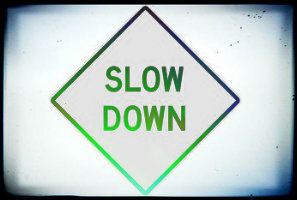 Don’t get me wrong, I love Paso Robles and fall brings some of the grandest and most picturesque times of the year. Having come from Los Angeles, where there really aren’t seasons and autumn’s color changes are faint at best, the rich and vibrant transformations in the Paso landscape including the beauty of a turning vineyard are quite spectacular. However, that also means the end of hot temperatures and these past few years has been a bit of a conundrum. Winter and spring were warmer than normal and that was great and in fact there wasn’t that blustery spring we can get; but, when summer arrived, that perpetual late spring weather of mostly 80s and wind took the, well, summer out of summer. This year, I’ve been hoping for a last stand by summer to give a shot of 100s, which can happen on Labor Day – that’s a good thing, as far as my opinion is concerned. And that leads us back to Labor Day where we will have plenty of tourists in town, getting one last little vacation in before returning to the rat race that is either the Bay Area or Greater L.A. I so, don’t miss that. Labor Day (also commemorated in Canada) is an almost Un-American celebration, since it’s dedicated to socialists movements dating back roughly 125 years ago. 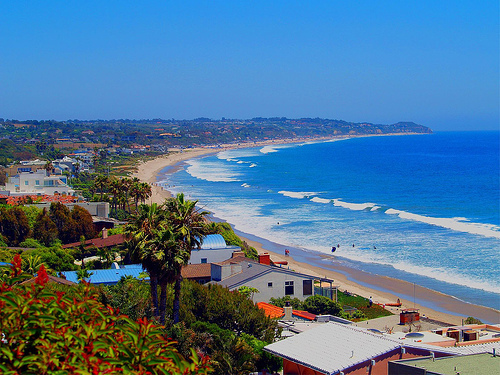 However, it’s an excuse for folks to stream into the Central Coast looking for wine tasting, a bit of entertainment and maybe even a trip to our beautiful coastline and beaches. Our accommodating and ever-growing hotels will be readied. Overall, it’s a relaxing place to be whether you’re visiting or living here. College football season is starting which is another good and bad thing all rolled up in one. Like my father mentions during summer, when I remind him that the football season is getting closer, that’s not a good thing because it means the end of summer is coming – he’s a fanatical fan of summer like I am … or probably more so. With harvest-time here, the final long weekend of the year is nearly upon us and with one last stab, summer will hopefully give everyone in the U.S. a warm and friendly sendoff. Enjoy yourself – I will try to do the same – but the mix of pleasure and surrendering of summer is on my mind. 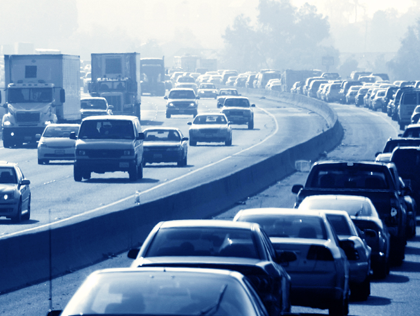 This entry was posted in Central Coast, Events and tagged fall, Labor Day, Paso Robles, summer, Yea Labor Day – Boo Labor Day on August 27, 2014 by PasoDr. 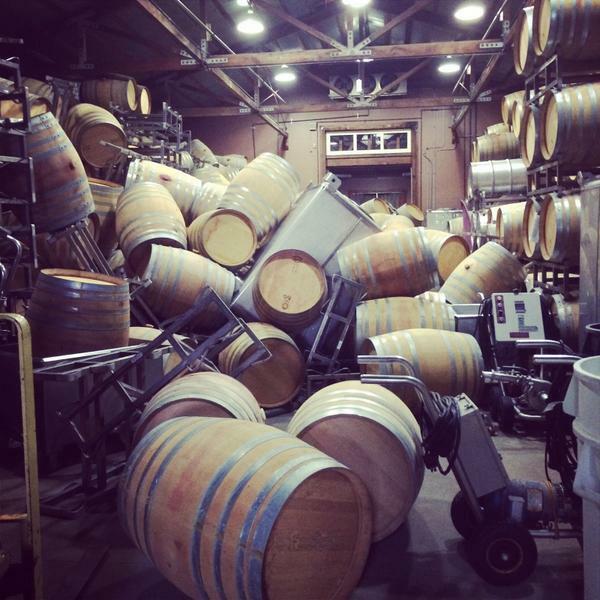 I’ve received some inquires regarding the Napa Earthquake and whether it was affecting us here at Paso Wine Barrels. The short answer is no. The fallout from the damage which is over a billion dollars so far – mainly concentrated in the south end of Napa County – is still not known, but so far, the Central Coast of California has not been largely affected by the seismic activity north of the Bay Area. With the damage to so many wine barrels, it has been wondered if there might be a shortage. However, many of the wineries had just recently done bottling to get ready for 2014’s vintage, so they had emptied the wine and most of those empty barrels, don’t appear to be damaged. Again, reports are all still preliminary and much of what has been reported, doesn’t begin to scratch the surface of what real harm has been done both physically as well as monetarily. Also, those in other parts of the country or overseas speculated as to how the big tremor affected all our wine regions. To be clear, there was significant damage near or at where the epicenter (was not far from the Napa County Airport), but it shook only in the immediate area and was not widely felt. Being just north of San Pablo Bay, except for Vallejo, Sonoma and obviously Napa, not much in the way of damage was incurred. The Central Coast didn’t feel even the slightest whiff of a quake. 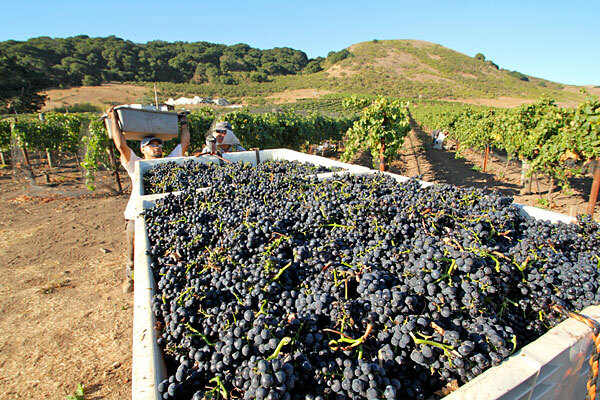 Although harvest started early this season, percentage-wise, much of the berries have not been picked yet and that is some consolation for those in Napa. Luckily, a cooler than normal summer helped slow ripening … or we may have had a different story. *UPDATE: As some had thought, once the devastation could be viewed more clearly, damage is not as bad as it originally was reported. Obviously there’s destruction, but as this story offers, things aren’t as bad as news services first noted. 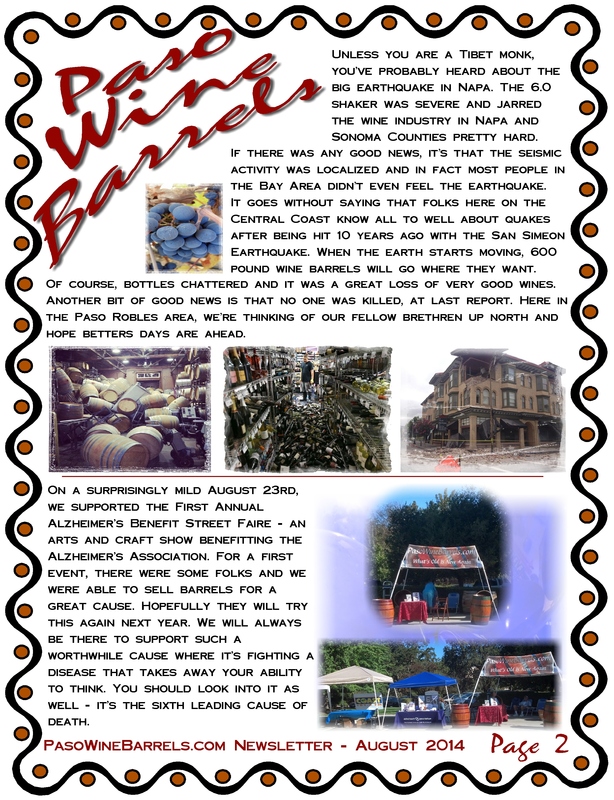 This entry was posted in Barrels +, Central Coast, Wine and tagged harvest, Napa earthquake, Napa Earthquake And Wine Barrels, Napa Valley, wine barrel on August 26, 2014 by PasoDr. The genius of Mr. Edison was right, however what is not made clear sometimes is how often opportunity knocks with grand offers … but is not always taken advantage of. That advantage is front and center. In the number one wine region in the world sits a tiny but hugely successful vineyard that has produced multiple medals over the last few years including Double Gold at the prestigious International Wine Competition. The man that made this small but powerful vineyard was Luis Nunez who sadly passed away this past Easter Sunday. The unique if heartbreaking situation has turned into an opportunity of a lifetime for some fortunate person or persons who don’t miss on this grand offer. The widow of Mr. Nunez, Blanca Trujillo Nunez is making available those award-winning grapes to whoever comes along and simply pays her water bill and a nominal fee for the grapes. 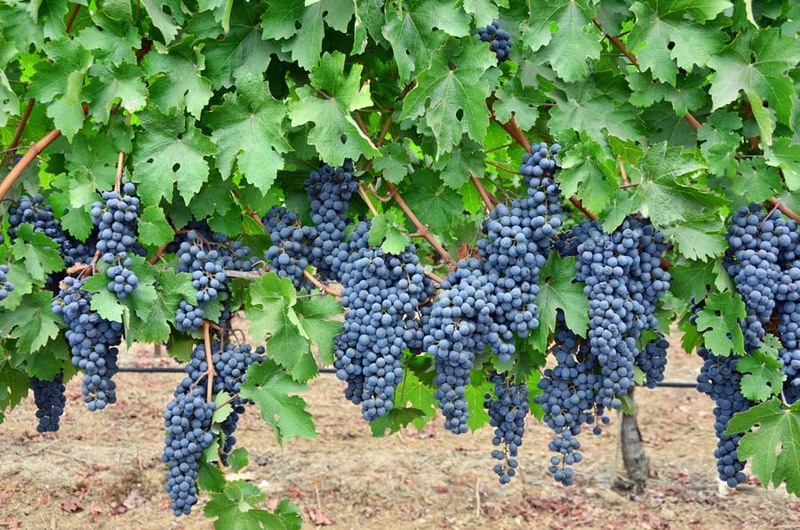 That’s it, a simple lease and you have in your hands some of the most remarkable Zinfandel grapes … maybe in the world. The only reason I use such grandiose verbiage is because these vines are still young in the big scope of things and Mr. Nunez wasn’t always able to have ideal circumstances to produce the wine. This was in part due to his lack of funds and being a newcomer to the garagiste winemaking world. In fact, not every vintage made it, with Luis having to occasionally sell his beauties to other winemakers, who happily used the wine to blend with theirs. 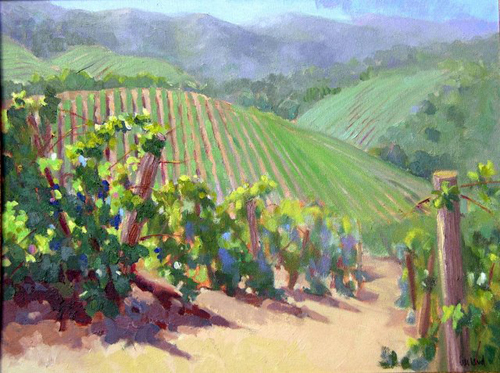 The quarter acre sits on a hill with stunning views overlooking Paso Robles and has an ideal terroir. The land is terraced giving each vine excellent light and wind plus the clay-based soil grows incredible plants. I know because of having a successful garden near his beautiful vineyard and can tell you the composition is as good as it gets. The situation is unusual and a heck of a story, but regardless, if you’re interested, you can contact me and I can give you Blanca’s contact information. 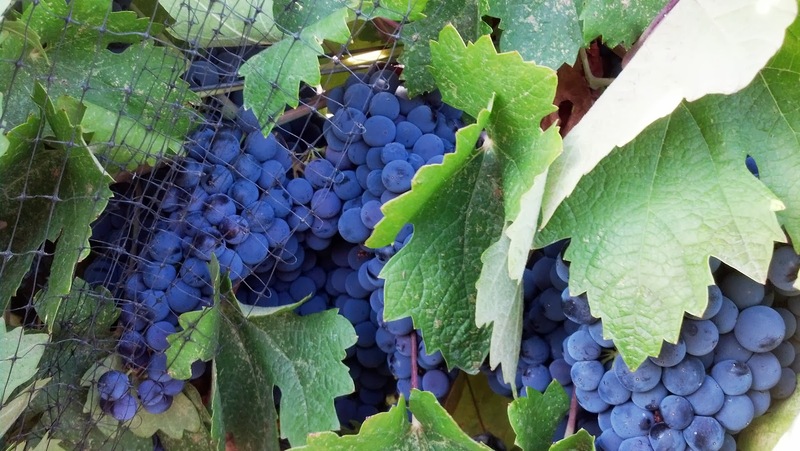 This entry was posted in Wine and tagged award-winning, double gold, International Wine Competition, Luis Nunez, Paso Robles, Zinfandel on August 22, 2014 by PasoDr.